Let’s recap for a second. 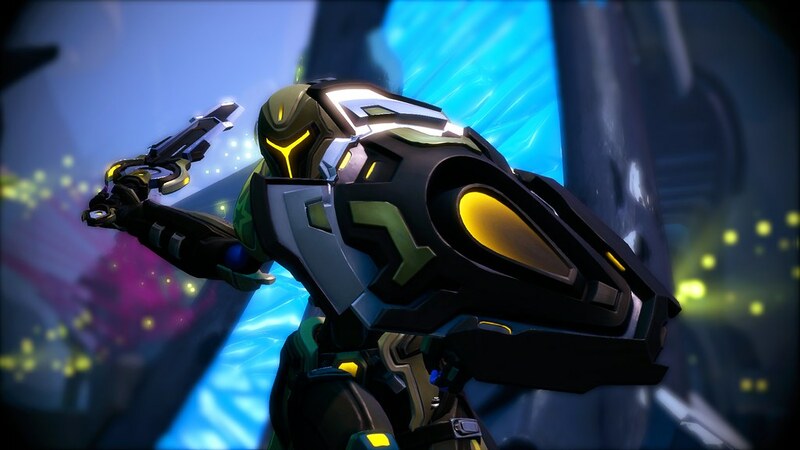 So far, we’ve introduced you to 18 of the 25 playable heroes in Battleborn at launch: axe-wielding dwarves, mountain men with miniguns, sentient mushrooms, laser sword space vampires… oh, yeah, and a penguin-piloting a mech suit — all fighting to save the last star in the universe. 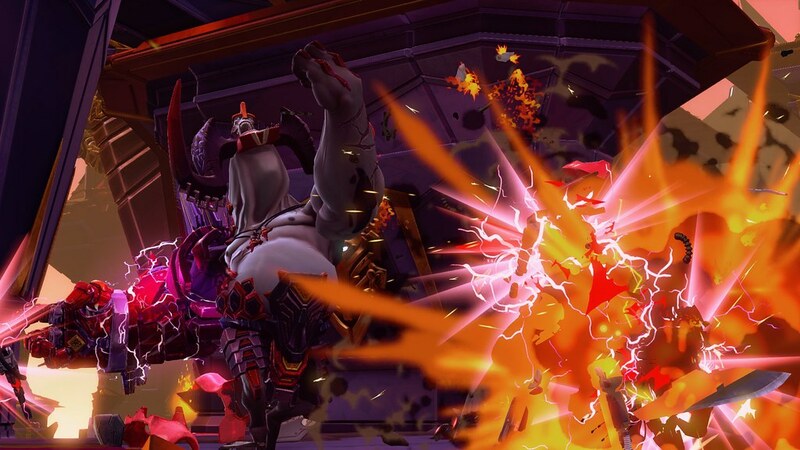 Today, we’re introducing you to two more Battleborn heroes: Attikus and Galilea. If you’ve ever wanted to play as hulking monsters on the battlefield (in more ways than one) we’ve got your new mains right here. Learn how you can get the most out of them, whether you’re playing solo, splitscreen, or 5-player co-op in Story Mode, or teaming up with buddies in the three unique competitive multiplayer modes. Slave. Laborer. Greatest warrior among the Jennerit underclass — the Thralls. All his life, Attikus has been told what to do, shoved into the deepest mines of Tempest, and kept down. Thanks to an experimental biotech harness, this already-imposing brute was given the one thing the Jennerit didn’t expect: intelligence. The only thing more dangerous than a huge, imposing beast with an axe to grind against his oppressors… is a smart imposing beast with an axe to grind against his oppressors. Barefisted Brawling (R2): while his normal fist would just as easily knock you out, watch out for when his abilities are fully charged. You’ll be seeing stars as his enhanced hand delivers a burst of shield-draining damage. Charged Hook (L2): Hold back for a couple seconds and Attikus’ high-octane haymaker delivers a world of pain. To your face. Pounce (L1): Just because this beast is huge doesn’t mean it can’t move. Attikus can leap to a target location and knock foes back. Hedronic Arc (R1): That metal arm grafted to Attikus’ body? He uses it to shock enemies when they come in for a closer look. Hedronic Eruption (Triangle): Attikus’ ultimate ability hurls shockwaves of energy to clear enemies out of his path. Hedronic Collector: A fringe benefit of the biotech harness — his passive ability can syphon energy from killed enemies. Once enough energy gets collected, he can pay it forward, juicing up the next skill he uses and making it even more powerful. The best tactic for fighting against Attikus: keep your distance. Stun, slow, or shoot at Attikus — just keep him out of arm’s reach! A sacred order within the Eldrid, the Arbiters of Being were charged with undermining the Jennerit Empire’s technology, and Galilea was its most promising warrior. Entrusting her with a long undercover mission, Galilea was embedded within the Jennerit and worked her way through the recruits of the Silent Sisters. During an attempt to sabotage their Sustainment technology, Ambra discovered and attacked Galilea, mortally wounding her. Once a close friend, Ambra attempted to use Sustainment to save Galilea’s life but it was only partially successful. Now unstable, immortal, and reeking of life-draining dark energy, Galilea is at war with herself and her new powers as she hopes to find a new purpose among the Peacekeepers. Wraith’s Greatsword (R2): she may be a fallen holy warrior of the Eldrid, but Galilea is still incredibly handy and swift in close combat. Sentinel’s Greatshield (L2): when Galilea is ready to wade deep into combat and stare her enemy in the eye, nothing’s better than a shield for deflecting blows and defending allies. Shield Throw (L1): that shield Galilea wields can do a lot more than simply absorb damage — give it a toss and share the pain! And, no, she has nothing to do with a certain someone that rhymes with Shnaptain Shamerica. Desecrate (R1): always ready for a sword fight, she curses the ground beneath enemies to amplify damage against them. Abyssal Form (Triangle): Take personal time-out with this ability. Galilea’s ultimate ability explodes into dark energy allowing her to take a break from the action or run for cover. During that time, she takes reduced damage and regenerates a huge chunk of her health. Corruption: the more that she connects blows and uses skills, Galilea’s Corruption grows. Once charged, she begins projecting a passive aura that drains the health of nearby enemies. The best tactic for fighting against Galilea: keep your distance, attack from behind where she can’t block with her shield, and keep her on the move so she can’t bunker down with Desecrate and Corruption. Keep your swords sharp and your spells primed, Battleborn’s Open Beta is coming later this year on PS4. 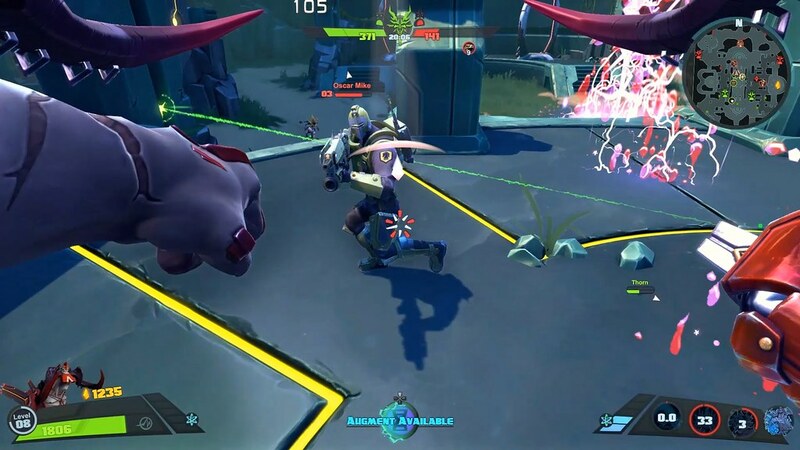 And don’t forget: PS4 players get early access during the upcoming Open Beta, and as a special thank you to all those PS4 players who participate in the Open Beta, you will receive a bonus 26th Battleborn hero after the game launches on May 3rd, 2016. To qualify for and redeem the bonus reward, PS4 players must log in to their purchased version of Battleborn using the same Shift account they played with during the Open Beta. 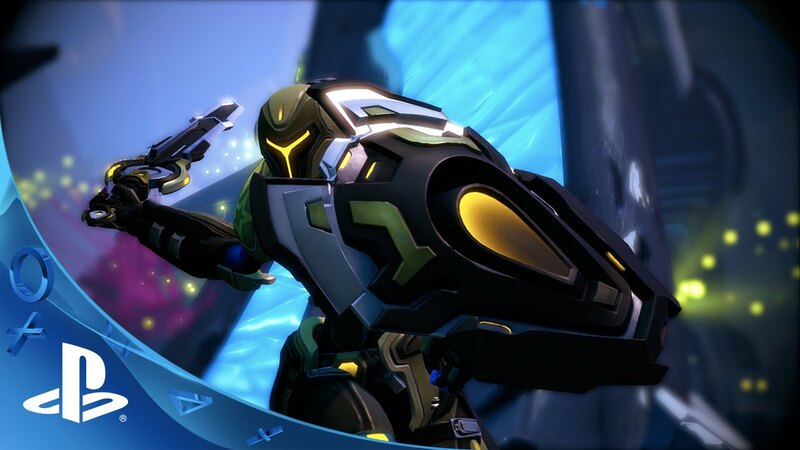 You can pre-order Battleborn now on PlayStation Store! I am so pumped for this game after playing the CTT. 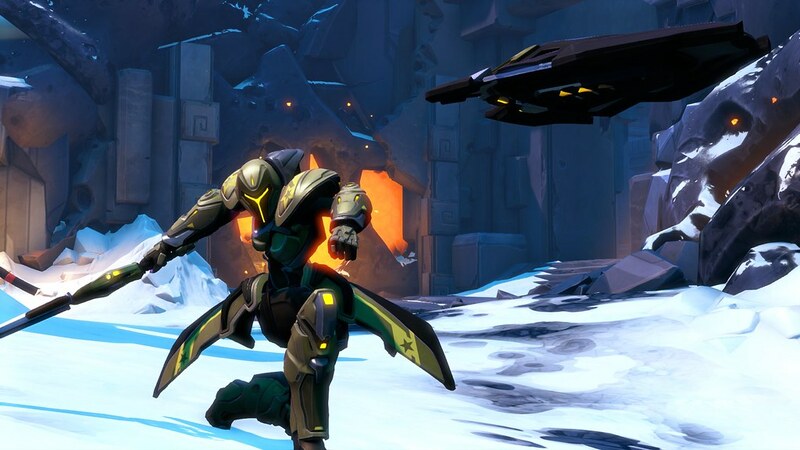 I honestly can’t wait for the beta to get my next Battleborn fix. The new characters look really cool, especially Galilea. Glad you’re looking forward to it! Yeah, I have to admit that I don’t normally play melee characters, but Galilea is a TON of fun. Especially when she levels up (I love throwing her shield). or right… this is another one of those games that looked interesting… until I found out it was first person. Well, I hope it sells well as it looks interesting, but I certainly won’t be buying it unless you guys add third person perspective support. Thanks! The crazy part is how different each of these 25 characters feel. And when you’re on a team? 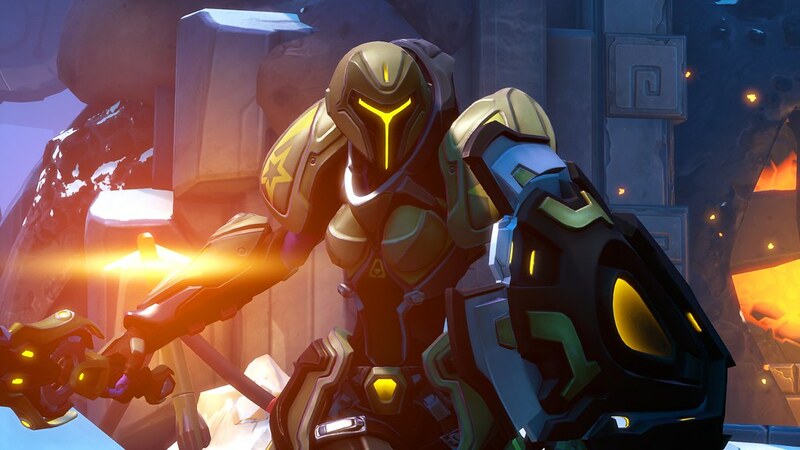 I’m looking forward to seeing all the team composition experimentation with Battleborn. Hi Darren ! I follow this game since the beginning with every information possible xD ! that’s a great game, So much hype ! I can’t wait for the PS4 beta soon !!! There are so much unique and different characters ! I just want to discover the others ! Just curious since you’re saying you’re loving these two: You play a lot FPS melee? Like I was telling Donny up top, I don’t normally do melee, but Galilea – and Deande for that matter – feel great. Definitely looking forward to hearing what you think during the open beta….! But it’s a very interesting way to play, we always need to move forward while thinking where you are going (I mean, not like a “classic” FPS shooter with shoot and take over), it’s a nervous gameplay, I think it need more reflex than a characters like Oscar Mike for example. And borderlands 2 with Krieg of course ! how did I forget him ! awesome gameplay and characters ! Will we have to purchase the preorder before the end of the beta to get the bonus character? Knowing how Shift works and the way gearbox operates Probably not. The way they describe it is as if its a loyalty reward. Play the beta them get a bonuse if you get the game in the future BUT it will be on your Shift account so make sure you dont switch accounts or psn ids. Hold on… This game isn’t a MMO ? No its a Shooter with MOMA elements. Its is mission and session based gameplay that has objectives in a more closed environment instead of quests in an full on free rome open world environment. Level ups hapen as you do your mission but reset at the end of the session. You will gain defult levels if the mission starts at a higher level. Super pumped to get in and get badass. Can not wait to see all the tricks you guys have up your sleeves. Ps I can’t help but be a bit worried that compeditive multiplayer will over take the game but im sure I won’t be anything close to what we have seen from some other titles. RevShadow: Nice thing is that there’s Co-Op play and a Story Mode – you’ve got play options if you don’t want to get competitive in the team-based modes. Like I said up top, can’t wait to see what you guys think of the Open Beta. Loved Borderlands 2 and Pre-sequel. I´ve been sort of following this game. These two melee characters make me want this game even more. AS for the 26th bonus character, would it by any chance be someone related to Borderlands 2? Nothing we can talk about yet…but remember that we still have a couple more awesome Battleborn heroes that we haven’t even revealed yet. Trust me, there are more badass playable characters coming. Already pre-ordered! Will the Open Beta have single player mode to test? Gotta say, after getting some hands-on time with this, I’m pretty pumped for this! Heavily reminded me of Borderlands in all the right ways =) though I’m curious, does it bother you guys that people, like me, draw the comparison it to Borderlands or do you look at it as of course it does, it’s the style of game we make? So the Open Beta will only be available for PS4?